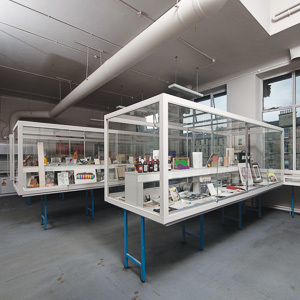 Summerhall’s permanent exhibition of avant garde works set in an original laboratory setting, Phenotype Genotype (PhG) will show over 400 small, medium and large works by a wide range of diverse artists amidst items rescued from Summerhall’s scientific past. The artworks (all from the Heart Fine Art collection at Summerhall) will illustrate the historical and motive forces that fuelled the international avant garde since 1900 to the present day. For this festival the exhibition has been overhauled and over 30% of the exhibits replaced with newly arrived items. The space also contains Robertson’s PERIODIC TABLE OF ART – a massive wall vinyl.